Andy is co-chair of the Compensation & Employment Group and leads the Firm’s executive compensation practice. He regularly advises private and public companies, boards of directors and senior executives in connection with executive compensation and employee benefits in a number of complex corporate transactions, including mergers and acquisitions and other business transactions. Andy’s practice focuses on providing advice on a wide variety of executive compensation matters, including structuring and implementing deferred compensation, equity compensation, bonus compensation and incentive compensation plans and agreements. He has substantial experience drafting and advising on incentive compensation plans and nonqualified deferred compensation plans, employment and severance agreements, and change in control agreements, including advising on the operation of Code Sections 409A (nonqualified deferred compensation), 162(m) ($1.0 million deduction limit on compensation) and 280G (change in control), as well as identifying issues arising under, and assisting in complying with, federal securities laws, applicable exchange regulations and related corporate governance rules. 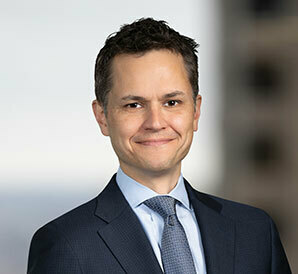 Andy regularly advises clients with respect to ERISA’s fiduciary duty and prohibited transaction rules. He also has helped clients correct benefit plan defects through Department of Labor and Internal Revenue Service voluntary correction programs and has assisted clients with negotiating settlements with regulatory authorities. Andy is the former Vice Chair of the Board of Trustees at Merit School of Music. Also, he has served as a volunteer attorney for Project SALUTE, a pro bono legal project that provides assistance on federal benefits issues to U.S. military veterans.